That’s all folks! It’s a wrap on my Summer Beauty & Fashion Guide! Once again, I want to thank all the awesome participating companies for their wonderful generosity. And, to my readers, thank you for taking the time to enter – and for tirelessly promoting this event via Facebook and Twitter! I missed announcing last week’s winners so here are the last bunch of lucky gals… Congratulations! I’ll do my best to send e-mails out this week; in the meantime, if you see your name listed here, don’t hesitate to send me a note with your complete mailing address plus telephone number. Thank you once again to everyone who made this event EPIC!!! Muah! Still quite a few fabulous giveaways open in my Summer Beauty & Fashion Guide! Once again, I’ve been a bit behind due to a crazy combination of work and family, but I’ve got a third group of winners to announce and I apologize for keeping you waiting! As always, I wanted to thank all the very awesome participating companies for their wonderful generosity. I won’t keep you in suspense any longer… Congratulations! If you’re not on the list, you still have many more chances to win – so go and enter a giveaway (or two)! Still TONS of giveaways open in my Summer Beauty & Fashion Guide! I’ve been out of the loop for the last few days, but I’ve got a second group of winners to announce and I apologize for keeping you waiting! Once again, I wanted to thank all the very awesome participating companies – this event will likely go down in history as the biggest makeup giveaway of the summer, and it’s all thanks to your wonderful generosity! Faces by Farah: Winner of a $400 Gift Basket is #1208 Tanna L.
If you’re not on the list, you still have many, many more chances to win – so go and enter a giveaway (or two)! Still TONS of giveaways open in my Summer Beauty & Fashion Guide, but I know that y’all have been patiently waiting for the first group of winners to be announced. Very quickly, I wanted to thank all the very awesome participating companies – this event will likely go down in history as the biggest makeup giveaway of the summer, and it’s all thanks to your wonderful generosity! Winners will be e-mailed shortly. If you’re not on the list, you still have many, many more chances to win – so go and enter a giveaway (or two)! Monte Carlo The Movie Winners! Thanks to everyone who entered the Monte Carlo The Movie giveaway. Up for grabs is a 4-pack of tickets to see Monte Carlo in theatres (value $50 each). Passes are valid at any Cineplex theatre across Canada that is showing the film. Congratulations! Please send me an e-mail with your complete mailing address, plus phone number, and I’ll have the passes sent to you right away. Thanks to everyone who participated, and to 20th Century Fox Canada! Life Made Delicious BBQ Prize Pack Winner! Thank you to everyone who entered the LMD Celebrate Summer Giveaway. If you’re looking for new, mouth watering, and above all, easy recipes to try this season, look no further than Life Made Delicious! Up for grabs is a “Celebrate Summer Giveaway” pack, valued at approximately $100. And the winner is #658 Erie! Congratulations! Please send me an e-mail with your mailing address, including phone number, so I can have the prize sent to you right away. Thanks again to everyone who participated, and to Life Made Delicious! Thanks to everyone who entered my May giveaways! I’m gearing up for two BIG months ahead… first, June is all about my Reno-cation Giveaway event, and then in July, it’s a Beauty and Fashion Bash! And, did I mention that there’s another Follower Tour starting on June 6th? LOTS of exciting things over the next two months! The winner of a Collapsible Travel Kennel is #190 Stacey E.
The winner of a Portable Zip-Up Bed is #220 Tricia T.
Please send me an e-mail with your full mailing address so that I can have the prize sent to you right away. Thanks again to everyone who participated, and to the fabulous companies who offered such great prizes! Thanks to everyone who entered the Lena Loves… Soapier.ca giveaway. I’m so happy that Soapier’s remarkable, high quality soaps are now available in Canada! As a reminder, up for grabs is a $50 Gift Card to Soapier.ca. And the winner is… #253 Tracy! Congratulations! Please send me an e-mail so that I can have the prize sent to you right away. Thanks again to everyone who participated, and to Soapier.ca! p.s. I’m still using my Blue Sugar soap! It’s been over a month now, and I’ve still got plenty left. These 5oz slices last a looong time, peeps… and the fragrance stays true, even after multiple uses. LOVE it! Thanks to everyone who entered the Lena Loves… MTF Price Matters giveaway. Hmm… Can anyone use, oh, I don’t know, a designer handbag? I know I can! Be sure to check out MTF Price Matters for phenomenal prices on fashion, house and home, and gaming & electronics – including a few sweet new arrivals of Wii, xBox 360 and PS3 games! As a reminder, up for grabs is an authentic Tod’s Shade Leather Tote in Beige valued at $1,149.99. Wowzers. And the winner is… #409 robynl! Congratulations! Please send me an e-mail with your contact details so that I may have the prize sent to you right away. Thanks again to everyone who participated, and to MTF Price Matters! Rejoice! Here’s the one you’ve been waiting for! The winner of the SKECHERS SRT Trainers in White/Silver/Pink is… #231 JENNNY! The winner of the SKECHERS SRT Trainers in Silver/Blue is… #1226 silverbullet71! The winner of the SKECHERS SRT Trainers in Black/Pink is… #139 nicolthepickle! The winner of the SKECHERS SRT Trainers in White/Purple is… #1213 airwin! Finally, readers voted on their favourite pair of Shape-ups from a choice of four (4) styles, and the runaway winner was the Silver/Pink style with 44% of the vote. The winner of the SKECHERS SRT Trainers in Silver/Pink is… #404 A.N.Drew! Congratulations to all the winners! Please send me an e-mail with your contact details – and your shoe size – and I’ll have the prize sent to you right away. Thanks again to everyone who participated, and to SKECHERS! la Vie en Rose… Winner! Thanks to everyone who entered the Lena Loves… la Vie en Rose giveaway. With so many sensational Spring looks, I’ll bet it was hard to pick just three! As a reminder, up for grabs is a $50 Gift Card. And the winner is… Kendra! Kendra said: I love The New York Floral Tankini, Pull-on Dress and Body Rose Padded Underwire Bra. Please send me an e-mail so that I may have the prize sent to you right away. Thanks again to everyone who participated, and to la Vie en Rose! A big thank you to everyone who entered the Lena Loves… Sephora Spring 2011 Collection giveaway. I just LOVE Sephora contests, don’t you? There are so many gorgeous new accessories for 2011, you simply must visit your nearest store to bask in them all. You can also check out What’s New at Sephora.com to see the latest in tools and accessories. Hey! Yola and trola! Cute! Please send me an e-mail so that I can have the prizes sent to you right away. Thanks again to everyone who participated, and to Sephora! Thanks to everyone who entered the Lena Loves… M&M Meat Shops giveaway. With so many meal ideas, I think I’ll have to print off the comments and take them with me next time I shop! 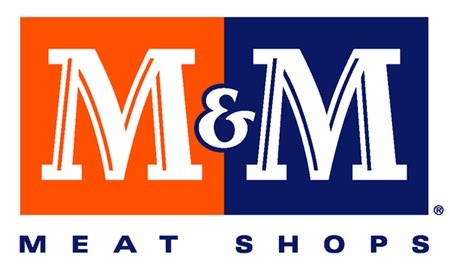 As a reminder, up for grabs is a $50 M&M Meat Shops Gift Card. And the winner is… Henna King! Congratulations! Please send me an e-mail with your contact details so that I may have your prize sent to you right away. Thanks to everyone who entered, and to M&M Meat Shops! 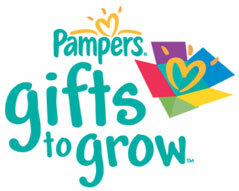 Pampers Gifts to Grow… Winners! 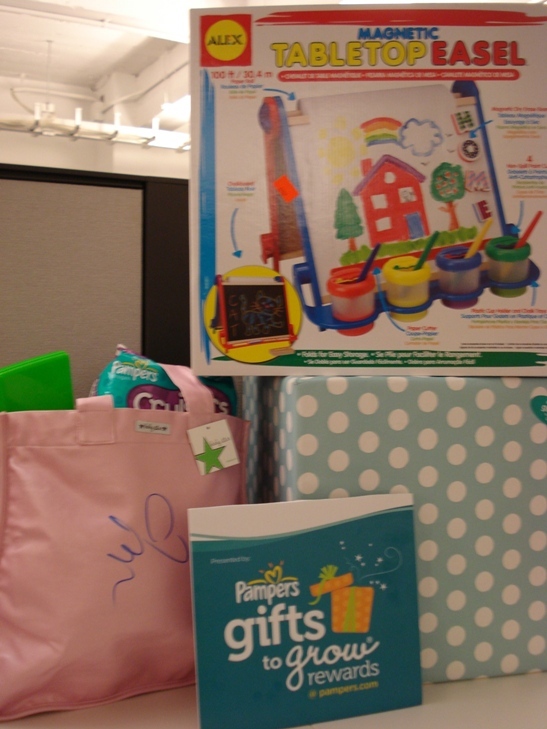 Thanks to everyone who entered the Lena Loves… Pampers Gifts to Grow Rewards giveaway. First, I must apologize for my tardiness in posting the results – as mentioned one post below, life has been very hectic! But I’m happy to share some very good news with six (6) lucky winners! And the winner is… #48 KainsHottie! Congratulations! Congratulations all! Please send me an e-mail with your contact details, so that I may have the prize sent to your right away. Thanks again to everyone who participated, and to Pampers! National Home Show Tix Winners! Thanks to everyone who entered my giveaway for National Home Show tickets. I hope the snow will stay away – I’m looking forward to a fun-filled Family Day with my budding interior designers! Kids 17 and under are FREE on February 21st courtesy of Rogers. Don’t miss the Bob the Builder Show produced by Kidomo (11am on the Main Stage), plus family focused stage presentations and complimentary daycare. Plus, one lucky family will win a trip for four to the Bahamas, courtesy of Our Lucaya Golf & Beach Resort and the Bahamas Tourist Board. Congratulations! Please send me an e-mail and I will forward instructions on how to pick up your tickets. Thanks to everyone who participated, and enjoy the show! Cheerios First Foods Giveaway… Winner! Thanks to everyone who entered the Cheerios First Foods giveaway. Looks like most of us love the recipe section of the new website – and the meal planner was also a hit among moms! Remember, if you’ve got questions about first foods, are looking for healthy and tasty recipes, or if you’d just like to sit back and enjoy some pretty awesome videos on baby/toddler nutrition, do visit the new First Foods section at babycenter.ca. Up for grabs is a Cheerios Prize Pack (value $50! ), including a Cheerios On-the-Go Tot Container, Cheerios Playbook, Box of Cheerios, Bowl/Utensil Set and a $30 Cash Card. And the winner is… Nathania Auger! Congratulations! Please send me an e-mail with your contact details, and I’ll be sure to have the prize sent to you right away. Thanks again to everyone who participated, and to Cheerios! Britax Advocate 65 CS… Winner! • Britax SafeCell Technology with SafeCells that are designed to compress in a crash. This significantly lowers the center of gravity and counteracts the forward rotation of the child seat, which normally propels the child toward the front seat. • Energy-Absorbing Versa-Tether with a two-point attachment and staged-release tether webbing to anchor the top of the car seat. This minimizes forward-rotation and reduces crash forces reaching the child. As a reminder, up for grabs is a Britax Advocate 65 CS in the winner’s choice of fabric (value $399). Drum roll please… the winner is Maggie S.! Congratulations! Please send me an e-mail with your contact details so I may have the prize sent to you right away. Thanks again to everyone who participated, and to Britax! p.s. Did you know that car seats have expiry dates? It’s true!